Since the release of the iPhone X, sales of the iPhone 7 Plus have soared, because the iPhone X and iPhone 8 Plus have not reached people’s expectations, but the price is much more expensive, causing most consumers to buy the iPhone 7 Plus directly, but it is also very expensive, so you need to buy a protective cover, wallet case is one of the best choices, the wallet phone case is known for its versatility, it combines the phone case and wallet. This means you can use it to save your phone and other files like ID cards, credit cards, and even money. 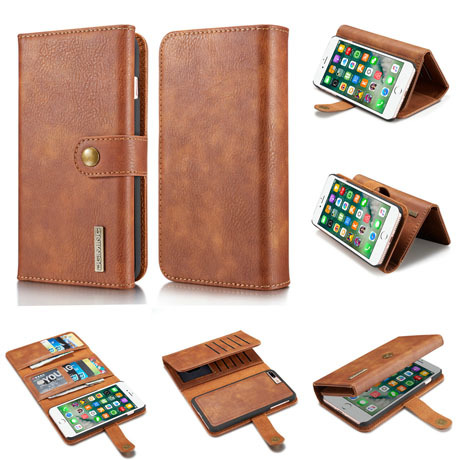 Note: Below we recommend the wallet case, the iPhone 7 Plus wallet case and the iPhone 8 Plus wallet case can be used interchangeably, as are the iPhone 7 wallet case and the iPhone 8 wallet case. Functional, practical and refined, this CaseMe wallet phone case is a must-have for anyone who wants to simplify their life and improve their convenience. 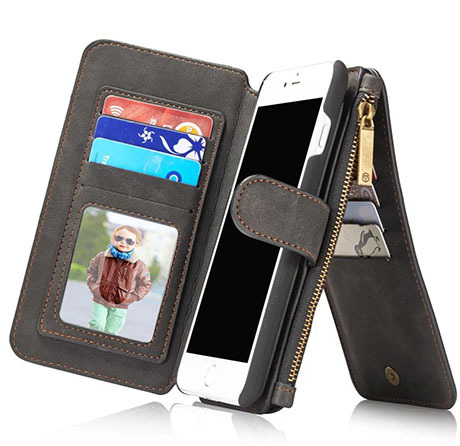 This is a 2-in-1 wallet case with a phone case and wallet for unparalleled convenience. A built-in magnetic closure keeps your case closed, preventing it from shaking from time to time. A detachable strap makes it easy to carry your wallet. Every time you have a call, you can make a call without opening the cover. This BRG luxury leather wallet is designed in a hand-held 2-in-1 design. It doesn’t take up too much space, so you can pair it with your favorite package. 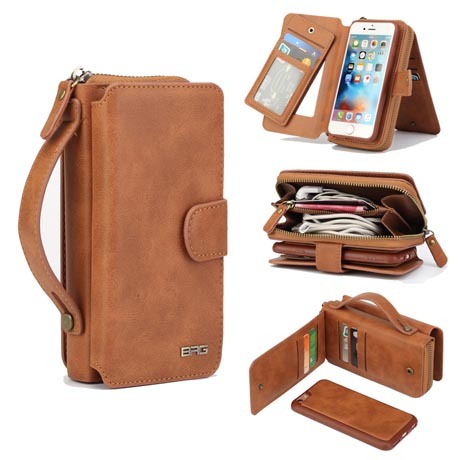 It has an internal zip for small items, three card slots, and plenty of phone space. Its wrist strap is also detachable, and the phone case and wallet can be separated. DG.MING Wallet is a complete wallet replacement and one of my favorite iPhone wallet cases. why? Because it looks like a real wallet. We call the DG.MING wallet one of the best wallet cases for the iPhone 7 Plus. It’s made of genuine leather. After a few months of use, it begins to showcase the quality products you expect from leather. It can easily handle 15 cards and a few banknotes.